St. Joseph Regional Medical Center recently completed a $15 Million project to construct a new central energy plant to provide power and other utilities to the entire campus. 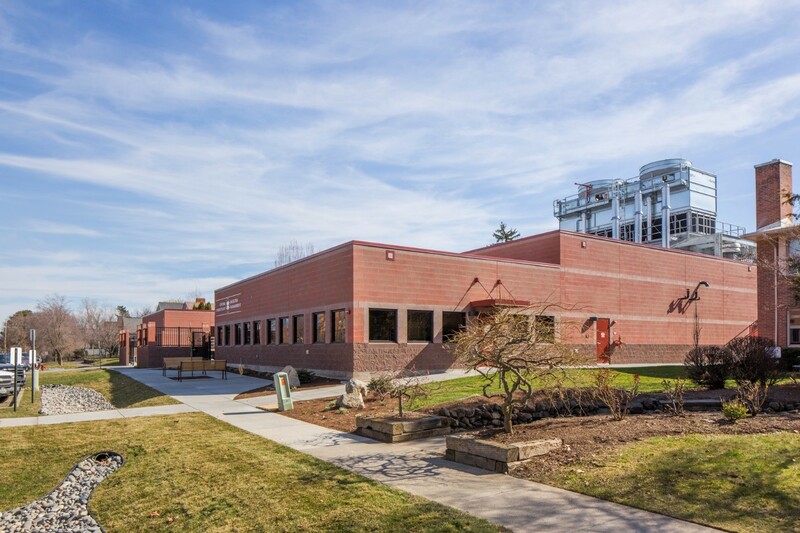 TD&H Engineering was initially hired by the hospital to provide a preliminary engineering report and budget estimates for all site development improvements required to construct the facility. Work during this phase included a geotechnical evaluation, research on water, wastewater, stormwater, and other utilities, and schematic design of potential site improvements. TD&H Engineering also coordinated requirements with each City of Lewiston department to determine potential permitting issues. With funding in place, TD&H Engineering then completed a topographic survey, prepared final design drawings, and coordinated permits and right-of-way vacation prior to construction. Construction services included civil/site construction administration, special inspection, and construction staking. Improvements included the construction of a utility tunnel under 5th Avenue between the main hospital facility and the new energy plant, street improvements, parking lots, reconstructing one block of alley, utilities, bulk fuel oil storage tanks, a new energy plant building, a new building for shops (wood shop and mechanical shop), water service, sanitary sewer, and stormwater services.